Google's Science Journal app is one that I regularly feature in my presentations and workshops about blending technology into outdoor lessons. With the app (available for iOS and Android) students can record data about acceleration, location, sound, light, and barometric pressure. Those are just a handful of the things that students can measure and record with the Science Journal app. Today, Google announced that the data and observations students record in the Science Journal app can be synced and saved in folders in Google Drive. This means that if your students use the Science Journal app on a classroom iPad and later want to access their observations or edit their observations on a laptop, they can do that. Google offers a couple of dozen suggestions for using the Science Journal app with students. You can see those suggestions right here. The five examples that I often use in workshops are outlined below. Ask your students if a basketball clanging off of a rim is louder in an empty gym or a full gym? Have them make a hypothesis then test it in your school's gym. (Check with your physical education teacher to make sure it's okay to borrow his or her classroom). Have students record how quickly or slowly they walk down the hallway. Have students record the speed with which they walk down the hallway. Have them record the sound at the same time. Ask them to try to identify a correlation between the speed with which they walk and the amount of noise that they make. Today, whenever I look out of my office window I am nearly blinded by the reflection of the sun off of the frozen snow. It was brighter earlier today when the sun was hitting the snow at a more direct angle. Students can use the Science Journal app to measure and compare the brightness of one place throughout the day. The Science Journal app has an inclinometer function. Have students use that function to measure the angle of the sun to a fixed position throughout the day. Have them use the light meter whenever they use the inclinometer. Then ask them to determine the correlation between the angle of the sun and the brightness at the chosen spot. They might be surprised at the results. I plan to use the Science Journal app on my phone to record the cries of my baby in relation to the speed at which I walk and bounce her. Maybe I will find the perfect speed at which she always stops crying. 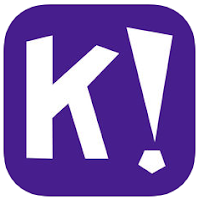 Kahoot's new Smart Practice mode gives students an opportunity to focus on the questions that they answered incorrectly during a Kahoot game or challenge. Smart Practice works in three phases. The first phase is immediately trying the questions again. The second phase is trying the questions again after 24 hours. And, as you probably guessed by now, the third phase has students try the questions after 48 hours. Here's a short video overview of Kahoot's Smart Practice mode. It's important to note that Smart Practice is only available on the Kahoot mobile apps and not in the web browser version. Google Drive is more than just a suite of document, slides, and spreadsheet tools. You can use it to simply store all kinds of files like videos, pictures, sounds, and more. 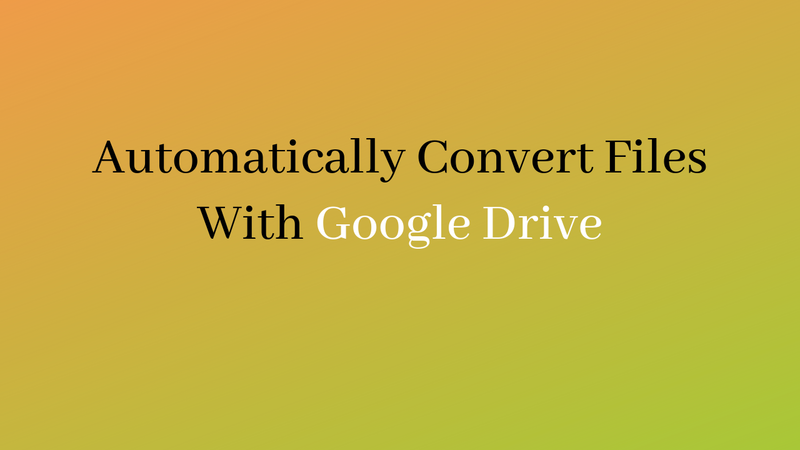 You can also use it to convert your existing Word, PPT, and TXT files into Google Docs format. In the following video I demonstrate how you can set Google Drive to automatically convert your TXT, Word, and PPT files into Google Docs and Slides formats. On Monday I wrote a review of a neat tool called The Most Dangerous Writing App. It's a website that provides a blank canvas to write on for a minimum time of your choosing. The catch is that if you stop writing before the time is up, you lose your work. I've received a few questions about it this week so this morning I made the following video overview of The Most Dangerous Writing App.